Life moves fast. Make the most of it on the new Tesoro NEO. Power up your morning commute, beat traffic at its own game, or leave your worries behind on getaway adventures with this sportive, versatile machine. Performance-oriented geometry, derived from Guru fit system data, puts the rider in the ideal position for comfortable sportive riding. Logical stack and reach spread ensures that riders of every size enjoy the same ride-feel. 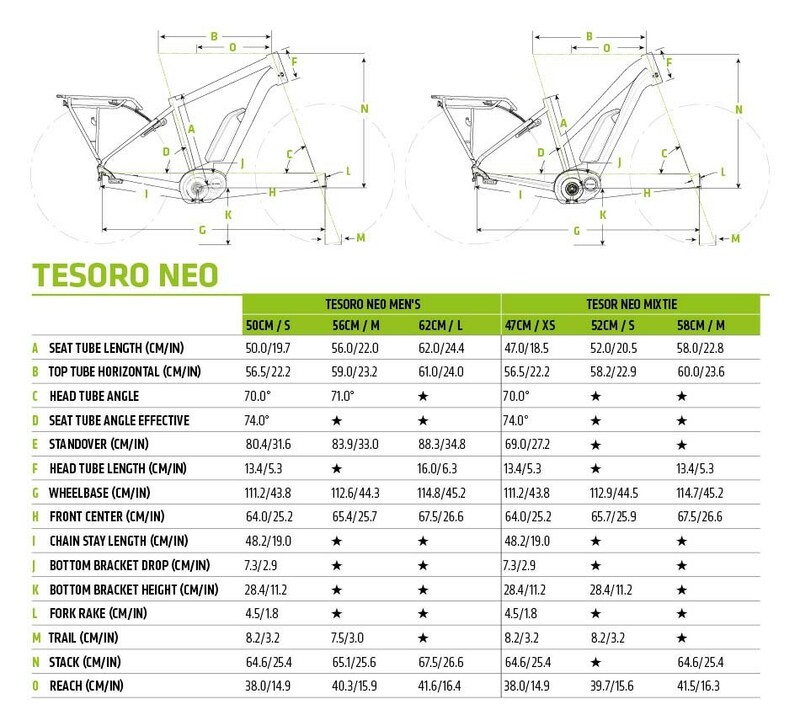 With their oversized, SmartForm C2 Alloy construction, the Tesoro NEO frames are some of the stiffest on the market, for safe, precise handling and stability at speed. It's especially noticeable on the Women's drop top tube frames. Tesoro NEO uses 28x1.5" (40-622) tires for faster, more efficient rolling, combined with comfort and durability. With integrated Busch & Müller lights, Tubus rack with unique one-handed bag release, custom fenders, kickstand and lock, Tesoro NEO is ready for action.